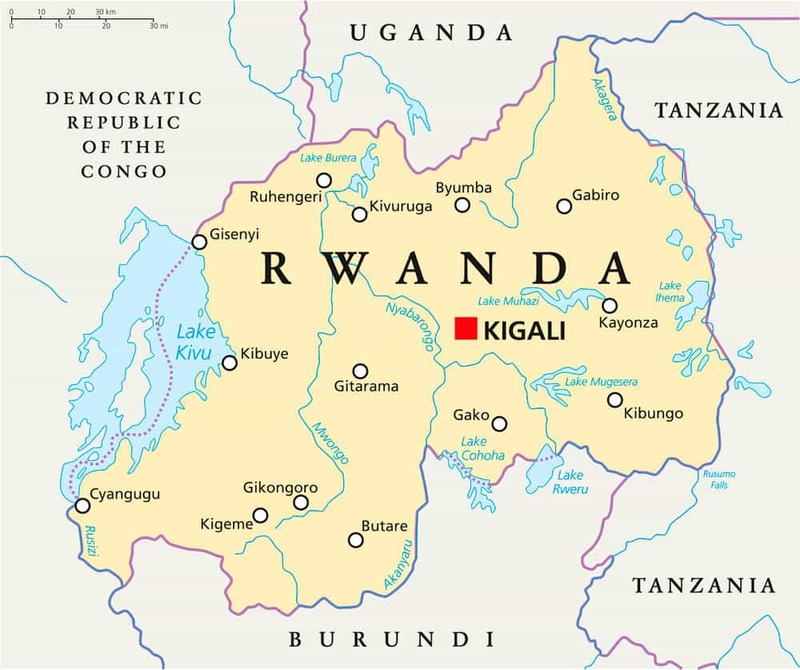 Rwanda is a beautiful East African Country, small, mountainous and very green. It is a less visited destination, which makes it all the more attractive as the fewer tourists you see the better. While the main attraction is certainly the Mountain Gorillas, which can be found in Rwanda’s Volcanoes National Park, the country has much more to offer. Rwanda as a country, is worth visiting just for the scenery and the wonderful lakes alone. Spend a few days in the capital Kigali, and perhaps relax on the banks of Lake Kivu, one of Africa’s great lakes where swimming, boating and fishing are all options. The Volcanoes National Park is home to nearly half of the world’s population of Mountain Gorillas, and it is where Diane Fossey (author of Gorillas In The Mist) spent many years researching them. As well as the incredible gorillas, there over 13 species of other primates, including golden monkeys and chimpanzees, which are most abundantly found in Nyungwe National Park. The birding in Rwanda is excellent, with over 700 species and is especially good in the beautiful Akagera National Park and the Nyungwe National Park. There are a lot of superb trekking options on top of all of this and numerous volcanoes to climb up! A trip to Rwanda can be combined with a week relaxing in Zanzibar, or a more traditional wildlife safari.